Posted August 2, 2017 in K100. 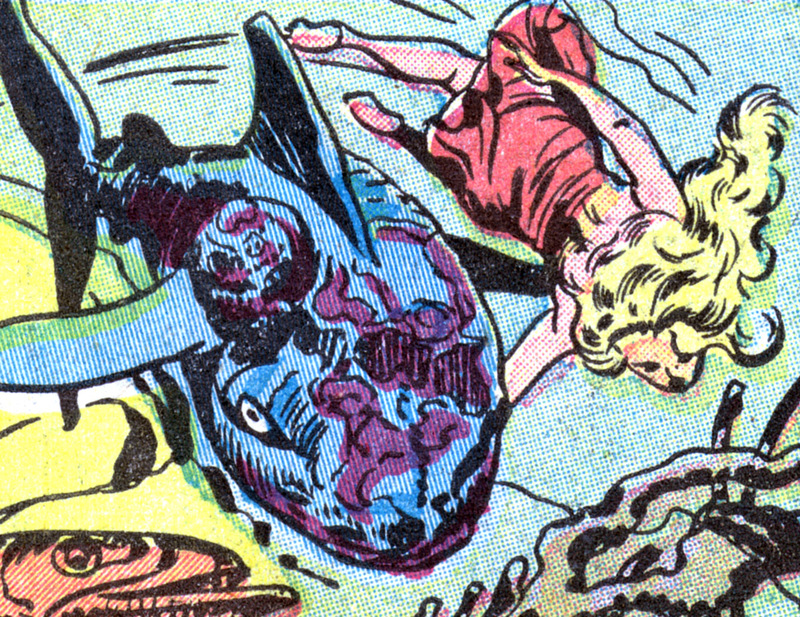 “20,000 Lugs Under The Sea” is a 6-page movie parody comic by Jack Kirby, published by Charlton in FROM HERE TO INSANITY #11 . It’s based on the 1954 Disney film adaptation of 20,000 LEAGUES UNDER THE SEA, starring Kirk Douglas, James Mason, Paul Lukas and Peter Lorre. 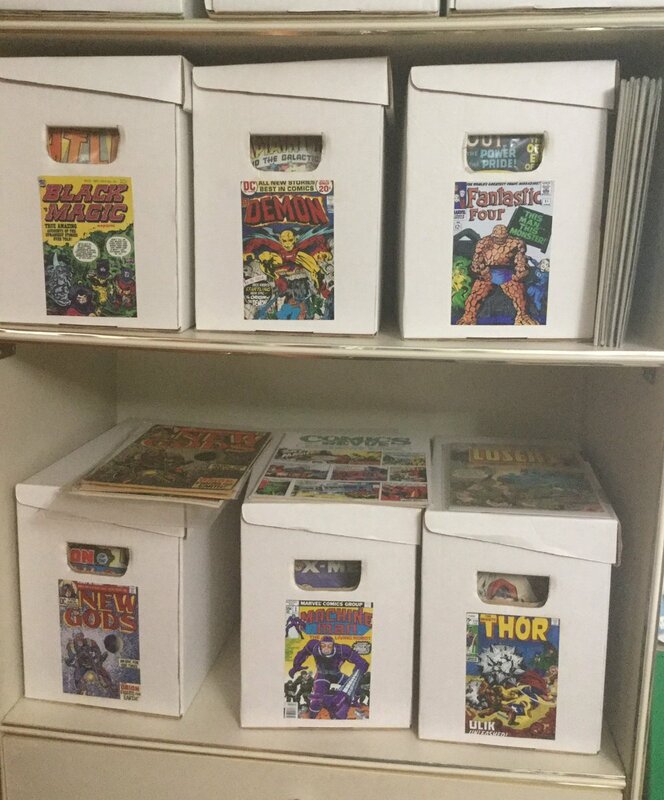 There’s quite a bit of Kirby material published by Charlton in 1955, most of it obviously done for the short-lived Mainline publishing venture Simon & Kirby did in 1954/1955. 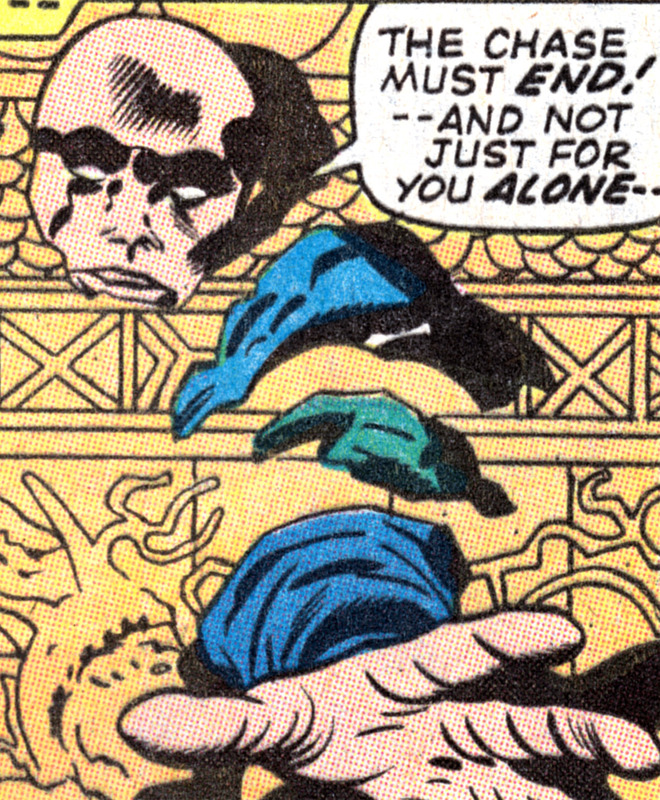 so this particular story (and the other Kirby stories in this issue) was probably meant for an unrealized Mainline humour title and used in Charlton’s name-changing MAD inspired mental health journal (also known at times as EH! DIG THIS CRAZY COMIC or CRAZY, MAN, CRAZY or THIS MAGAZINE IS CRAZY. 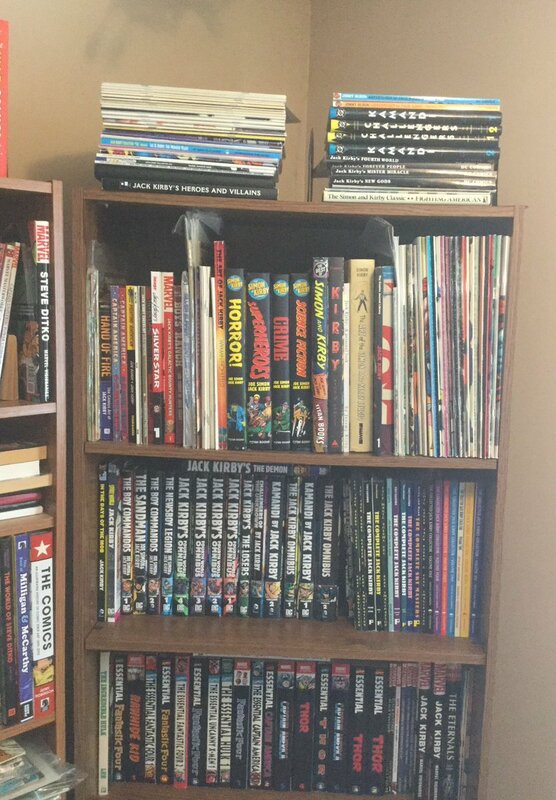 Never just CRAZY, which was published by Marvel). 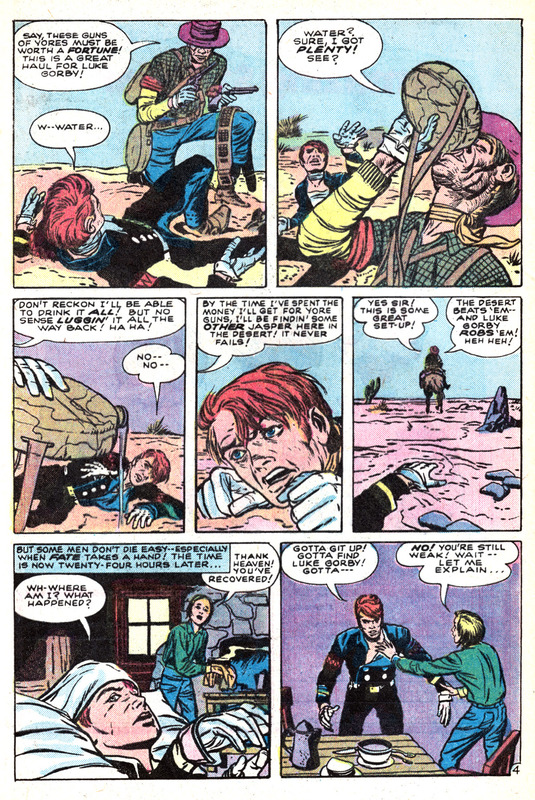 This sticks pretty close to the parody formula that Harvey Kurtzman and his collaborators had been doing at MAD for a few years at this point, with names like “Captain Screamo” and “Dirk Cutlets”, and lots of the slapstick and little gags in the backgrounds. 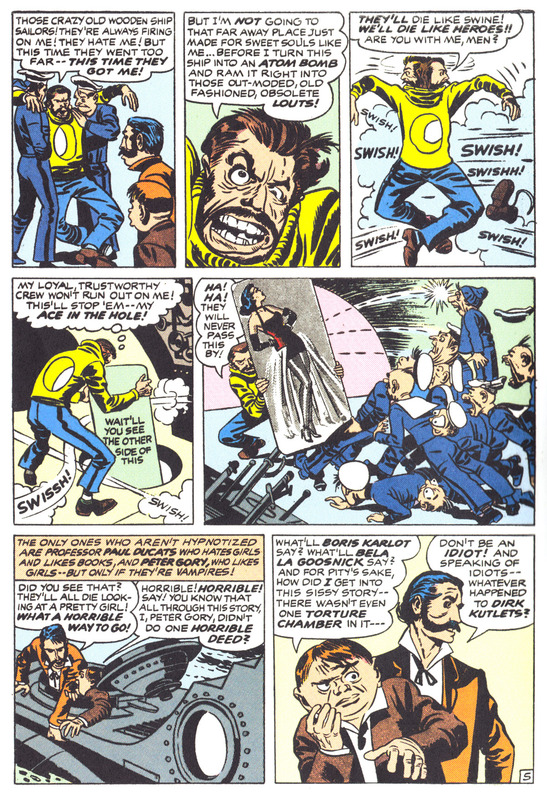 I’m not sure what the origin of the bullet-hole gag is, I think Al Capp did that a lot in Li’l Abner. 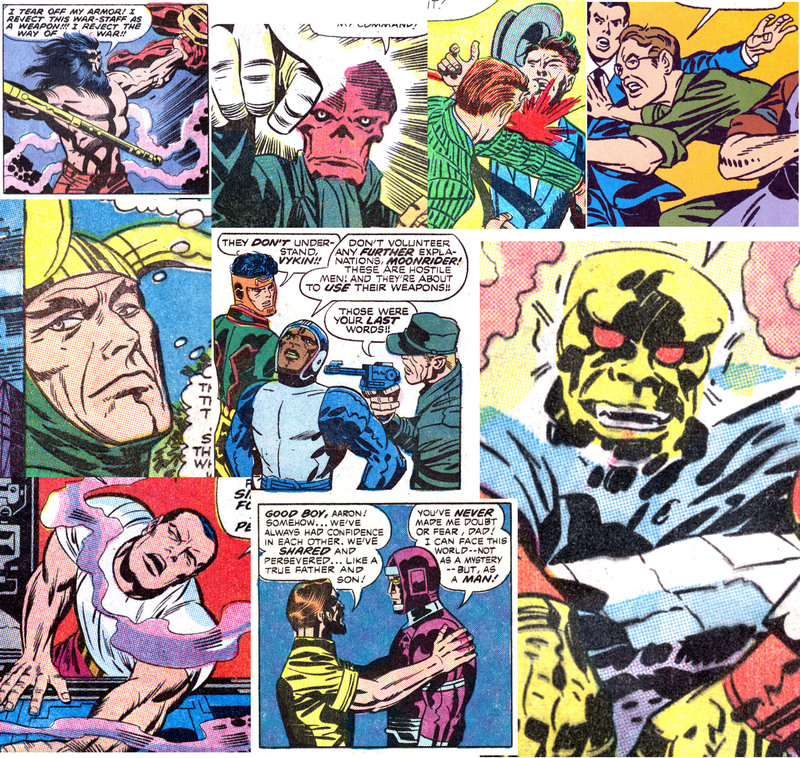 Some of the visual elements are similar to earlier Kirby humour work in some comic strips in the 1930s, and a few comics in the 1940s. 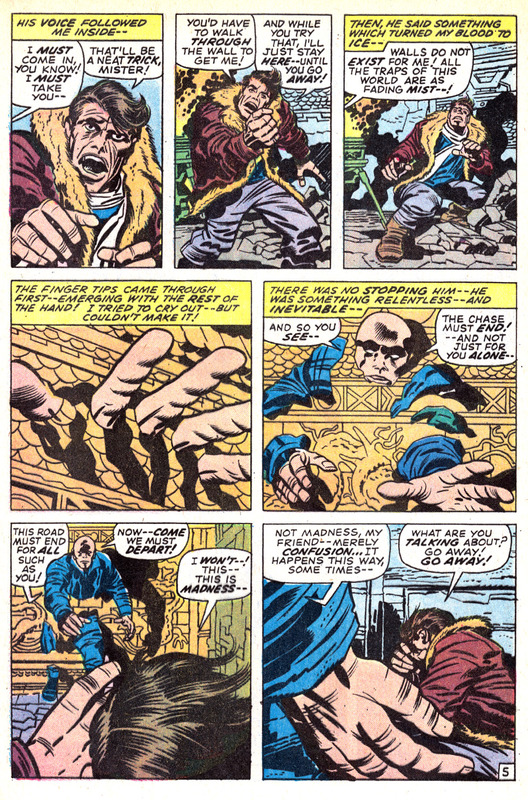 Overall an interesting example of Kirby in a less familiar genre, making some good use of his frantic energy. Posted July 31, 2017 in K100. 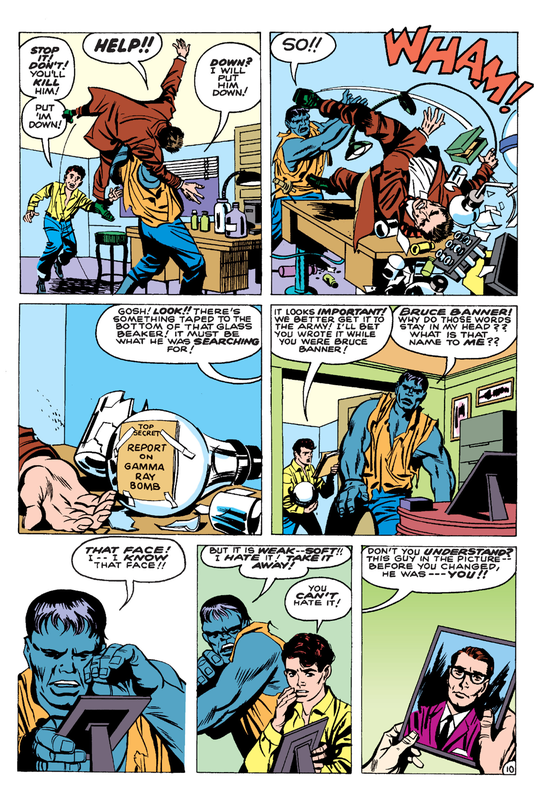 “The Coming Of The Hulk” is a 24-page Kirby story inked by Paul Reinman and first published in THE INCREDIBLE HULK #1 , introducing the long-running (after a rocky start) Kirby creation. 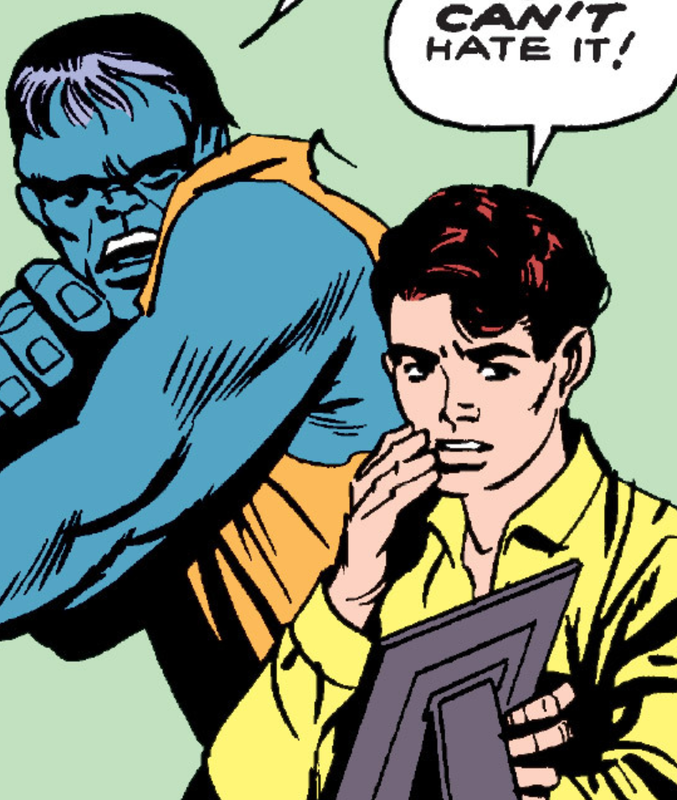 “This is the often re-told and embellished origin of the Hulk, with the introduction of Bruce Banner, Rick Jones, Betty Ross and General Thunderbolt Ross. 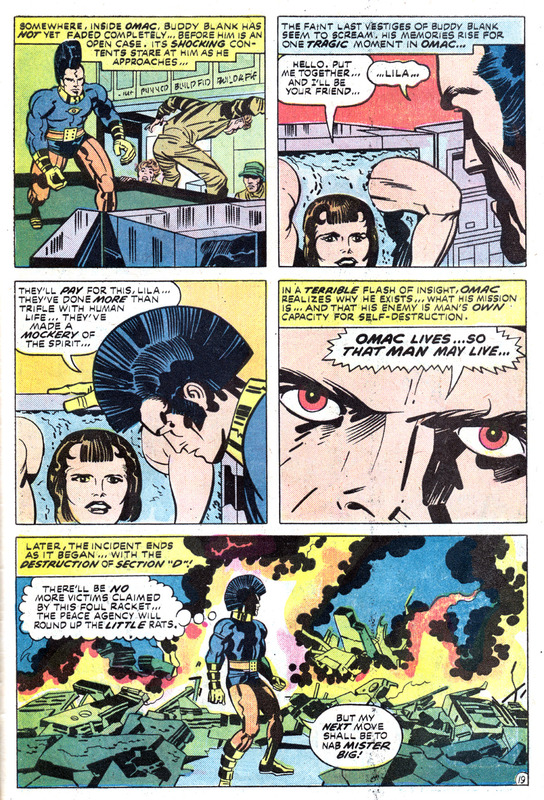 Banner is a scientist testing a gamma bomb for the army, under General Ross, but when teenager Rick Jones trespasses on the testing site Banner is caught in an explosion of his own device, thanks to a Soviet agent in the lab. 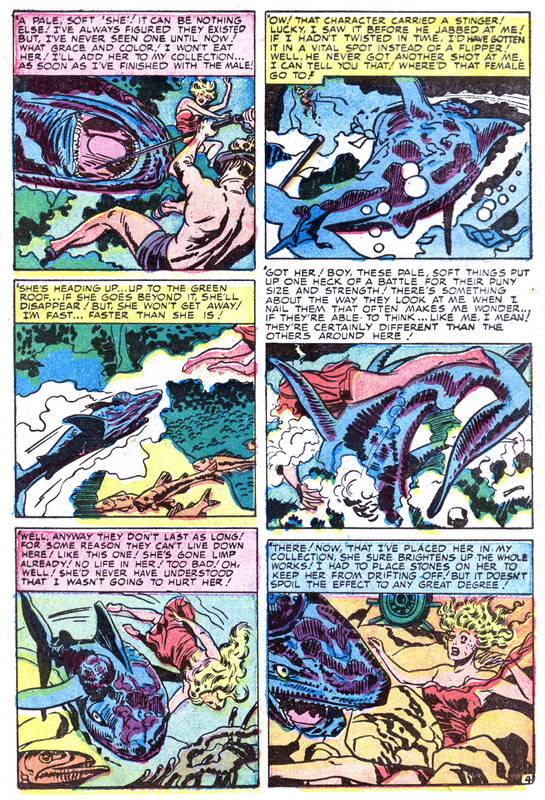 The radiation causes him to turn into the monstrous Hulk whenever the sun goes down, a creature of brute force who has contempt for his alter ego. 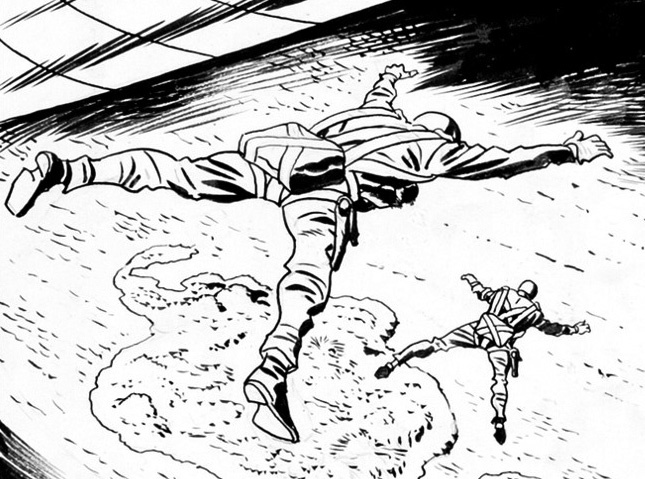 Banner and Jones go on the run, winding up captured by a deformed communist genius named the Gargoyle and taken behind the Iron Curtain. 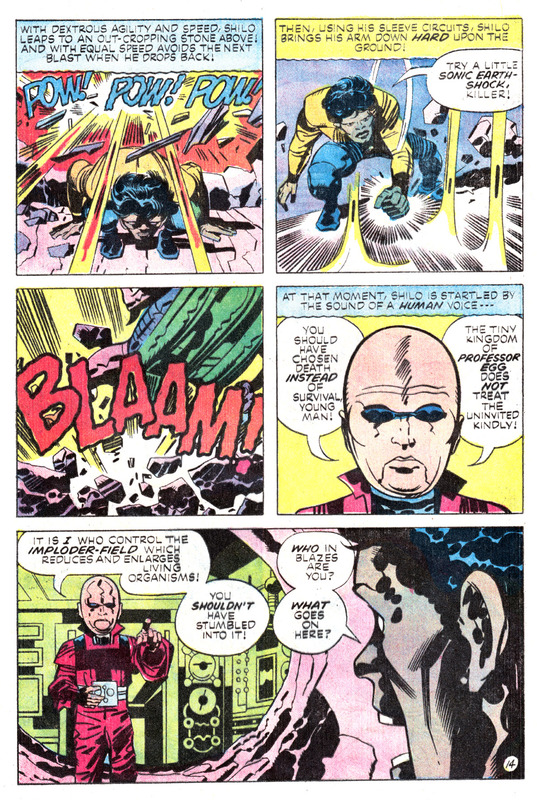 A pretty decent introductory story, with a lot of the elements that would define the series. 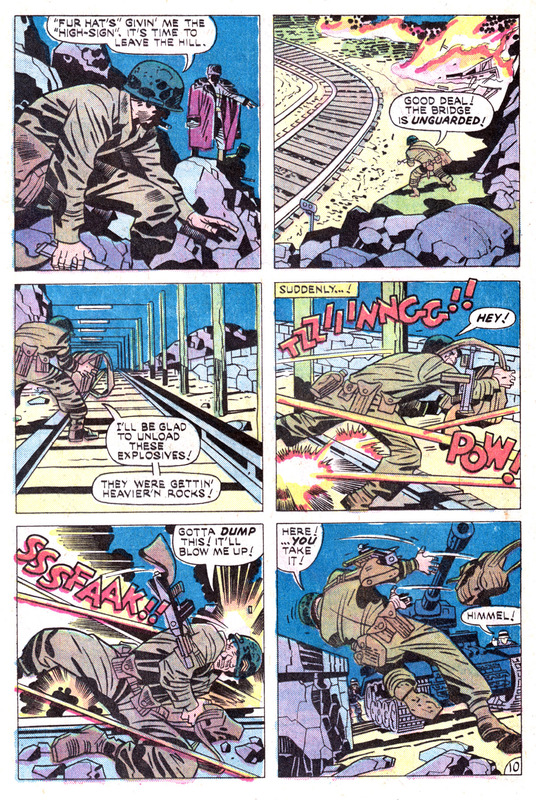 Some of the art is excellent, including the classic gamma bomb scene, with Banner trying to rescue Jones, Banner catching the explosion just on the edge of the protective trench and the hours long scream that follows. 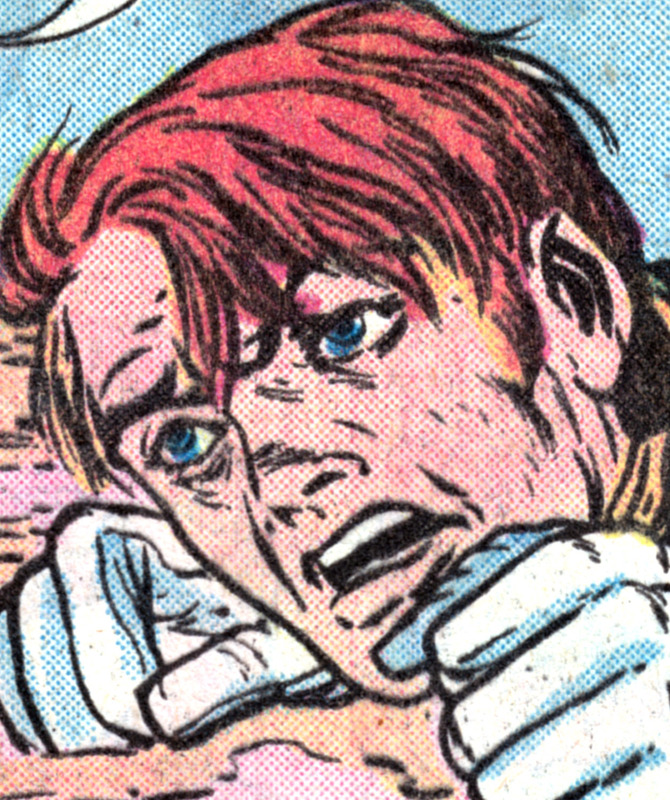 There are several good sequences of the tranformations to and from the Hulk, especially the one when Banner is driving a jeep and we just get a close-up of the hands for three panels. 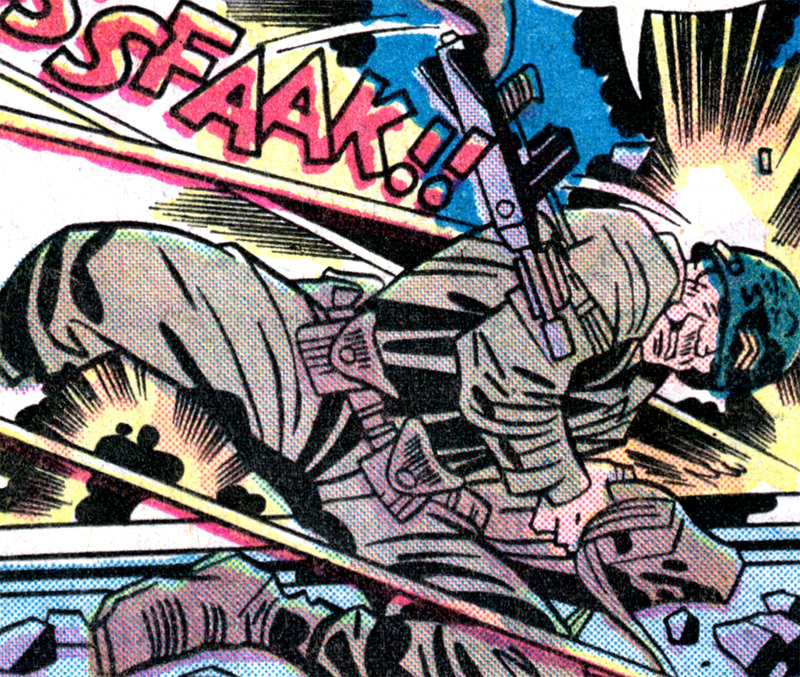 Reinman is far from my favourite Kirby inker in this period, but this is definitely one of his better jobs. Posted July 2, 2017 in K100. 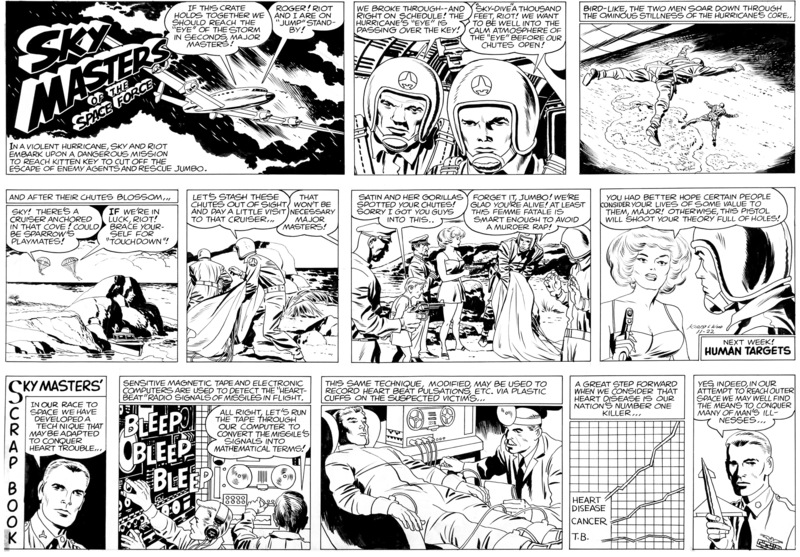 “Shilo Norman, Super Trouble” is a 20-page Kirby story from MISTER MIRACLE #16 , inked and lettered by Mike Royer. Following his introduction the previous issue, Shilo Norman is now training full-time as the apprentice to Scott Free in the escape artist trade. 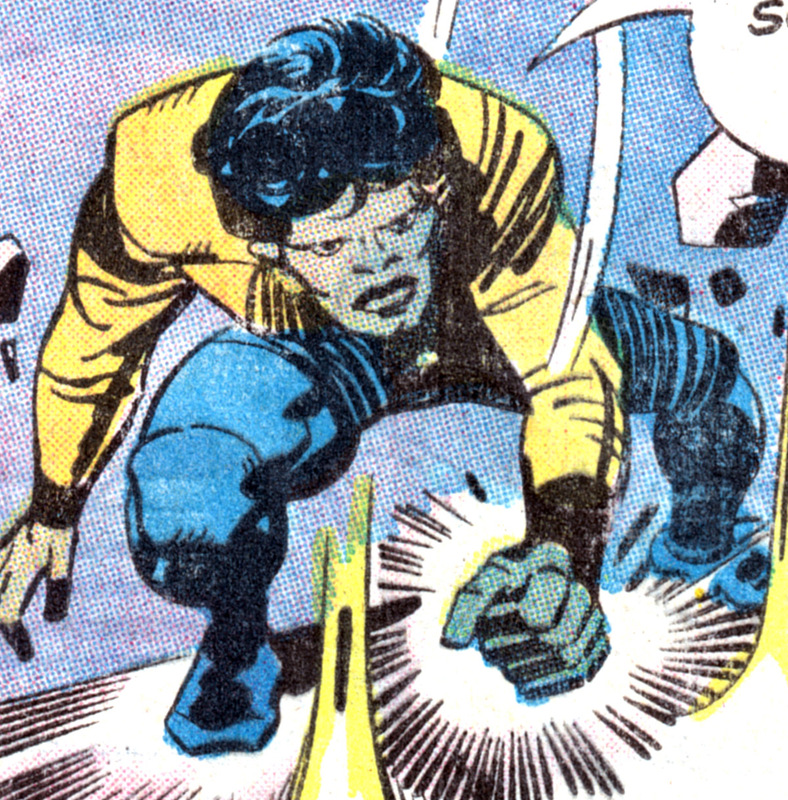 He keeps seeing a giant insect, which vanishes before anyone else can see it, and which then abducts Oberon and Barda while Scott is out of the room. 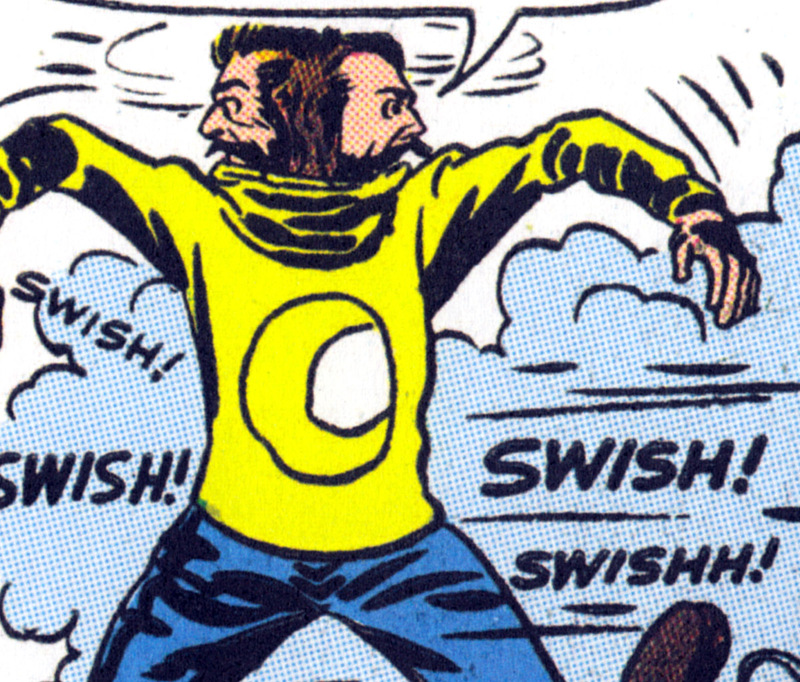 When the insect next appears, Shilo attacks, ending up shrunk to insect size and facing off against Professor Egg, who is creating a race of insect-human hybrids. This all ends rather abruptly in an “all a dream, or is it” ending. 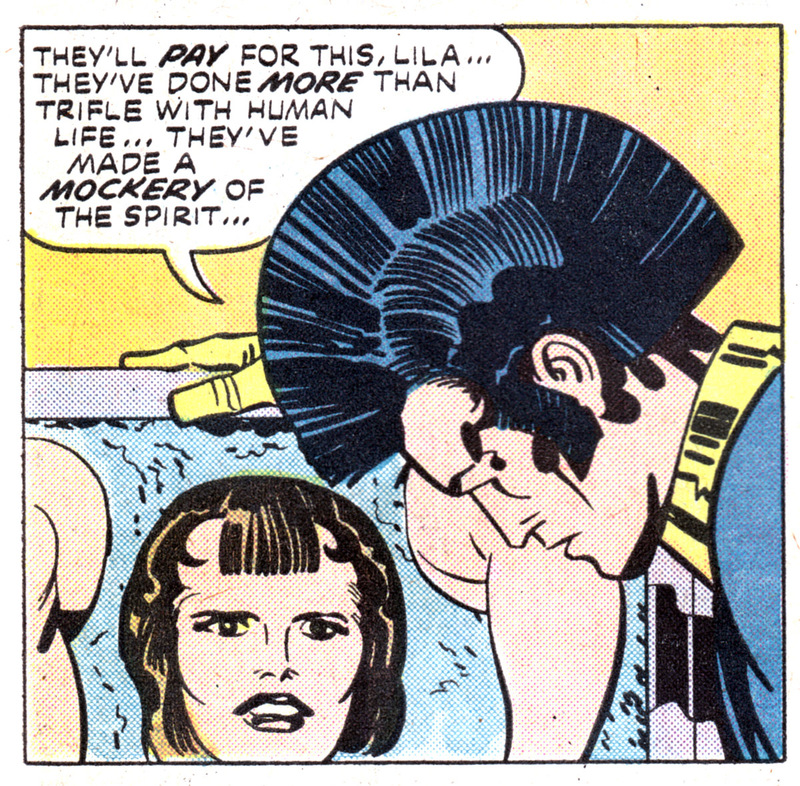 Overall this is one of the weaker of the Fourth World stories, as there definitely seems to be an attempt to make Shilo the star of the book in the last few issues up to the conclusion. There are some imaginative creatures and well drawn action scenes, and some nice interplay among the characters in the first few pages which make up for the plotting weakness.